Screenspares can supply polyurethane modular systems ready for installation to suit most conventional vibrating screens regardless of age. The modules incorporate a welded steel frame with polyurethane moulded around it. The thickness of the screening area and choice of shore hardness is determined by hole size and application. 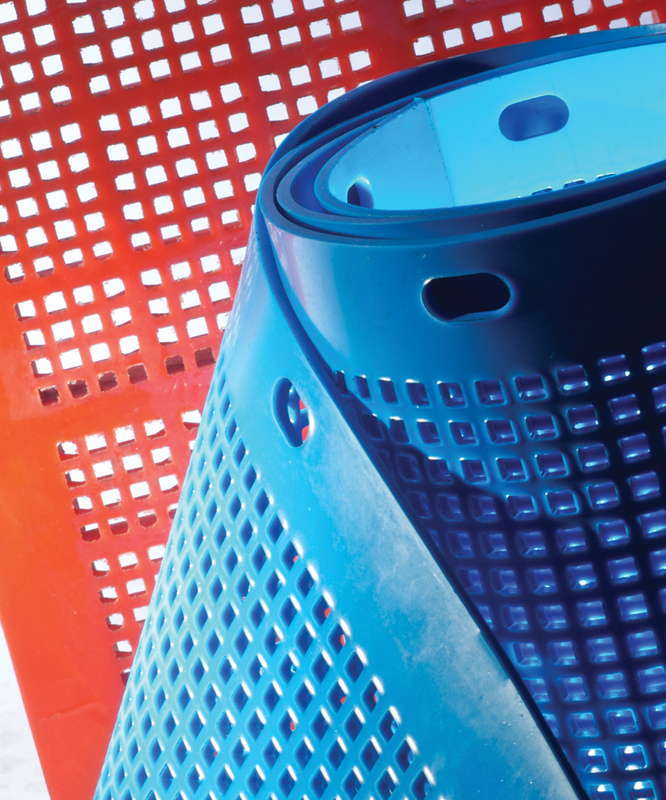 Our polyurethane modular systems are available with holes from 0.3mm to 120mm. • Replacement of panels only in specific wear areas. 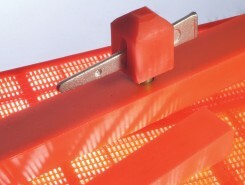 • Ease of replacement with our unique pin and wedge system, (requiring no more than a hammer and crowbar), minimising down time. • Lightweight modular panels considerably improves manual handling and allows for safer and quicker deck changes. • Grading requirements to maximise screen performance is more achievable with modular systems. Polyurethane dewatering systems are extremely popular in the production of sand as they free the product of excess water making it easy to handle. The very fine apertures ensure the removal of water and silt and not the saleable material. Dewatering modules can be supplied in various thicknesses depending on the specific application. Screenspares has received support from Invest NI under the European Union’s Investment for Growth and Jobs Programme. The project, recorded on the ERDF beneficiaries’ website, will be implemented over the next year, undertaking research and development activities aimed at improving the competitiveness of the business.